Feeling… Excited, guilty, and some pain. The baby went on a nursing strike last week and I lost most of my supply. I could have worked really hard to get it back but I chose not to. So we are done nursing (he’s 10 months old). I’m excited to not feel so tied down; I’m feeling guilty I didn’t try harder to make it until he was one; I’m feeling too full and hoping the last of this milk will go away. My favorite old lady in town told me that if I drink a sage tea it would finish drying things up and I just might try it. What am I looking forward to most with my new found freedom? Volunteering in Macey’s classroom. I was super pregnant or had a newborn all last year, so this year is much better for me. She asks all of the time if I can come and I’m excited to finally say yes. Thinking… I should have went on vacation when I had the chance! We’ve been planning since January to go to Italy for 2 weeks in early October to visits our best friends from college who juts moved there. I’ve been squirreling away all my blogging and Farmer’s Market earnings for the trip; when it came time to purchase tickets a few weeks ago I just couldn’t do it. It felt like too long to leave the kids. The baby wouldn’t even be one yet and I thought I would still be nursing (little did I know!). A few days after we decided to wait on Italy someone from Beaches resorts in Jamaica asked if Thomas and I wanted to come for a long weekend to review the resort and then blog about it. It wouldn’t have been totally free but it was still a super discounted trip. Again, I said no thanks. Now I’m kind of kicking myself. Watching…my babies grow. 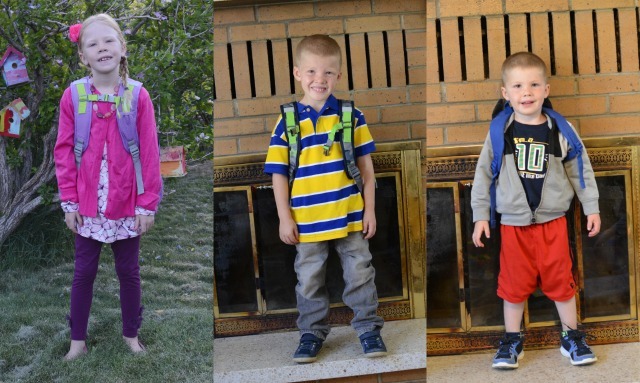 New clothes get purchased, hairs cuts take place, and traditional early morning first day pictures are taken. Something strange happens inside of schools on the first day of school because I swear that my children age leaps and bounds that day. They come home different older people. I love it as much as it pains me. Growing up is tricky like that, isn’t it? by Glennon Melton. Emily from One Lovely Life recommended this book early in the summer and I bought it that day. I’ve seen and read one of Glennon’s essays before – Don’t Carpe Diem being one of them. And then I read that same essay, in the book while I was sitting in the sunshine with a warm quilt under my legs at the park with the kids. They were laughing and chasing and I cried happy hopeful tears while reading that essay yesterday after school. Don’t worry, we were the only ones at the park. I’m a visual person and having the book in my hands and seeing the words on the page was a much different experience for me than reading them on the computer screen. It’s a keeper friends. The book is a compilation of essays so it’s one that I keep in my bag for when I have 5 minutes here or there to read. This was one of my favorite quote from yesterday’s reading session. Parenting is hard. Just like lots of important jobs are hard. Why is it that the second a mother admits that it’s hard, people feel the need to suggest that maybe she’s not doing it right? Or that she certainly shouldn’t add more to her load. Maybe the fact that it’s so hard means she IS doing it right…in her own way…and she happens to be honest. Parenting is hard and maybe, just maybe, I’m doing it right in my own way. I needed that yesterday. Excited… to finally tell you our big news. We. Bought. A. FARM!!!!!! We’ll, it’s not quiet a farm yet, but it’s 7 acres, a pole barn, an orchard, and a dream. I owe you more details but there aren’t really more to share. Six of the seven acres are alfalfa fields, we’ll plan our forever home this winter and start building our dream house in the spring. And as much as this pains me to say, The Shanty is for sale. 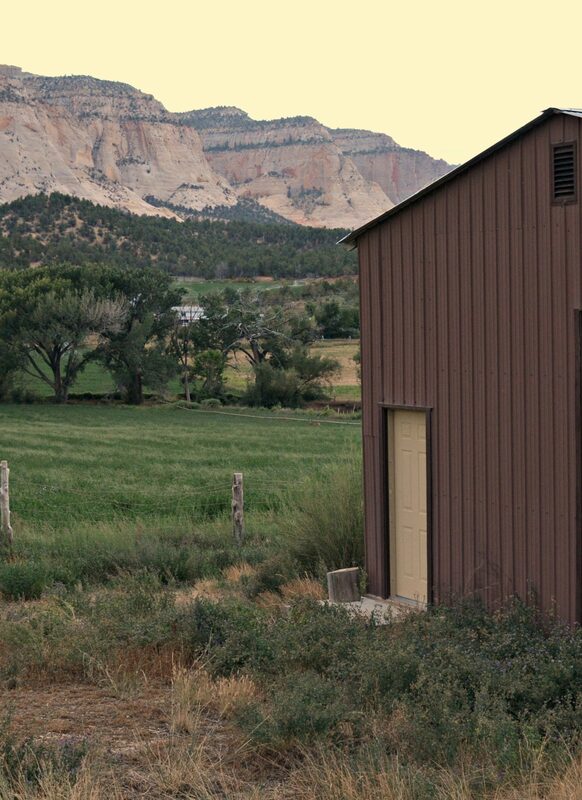 The Shanty will forever be our first love, but we didn’t realize we had such big farm-colored dreams when we bought it. Our seven acres is out of town and just what we need to feed animals, bellies, and souls. It’s very literally a dream coming true. 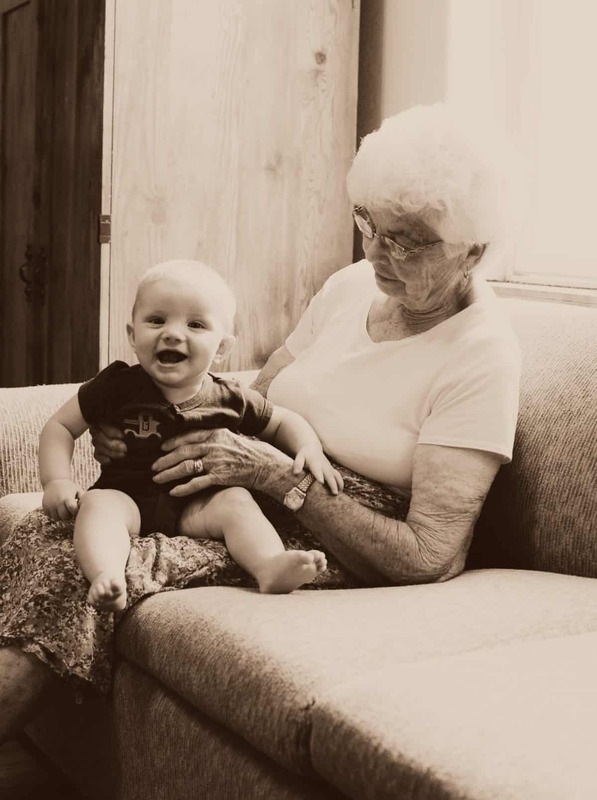 Missing… my grandma. She flew out to visit in July from Indiana and we loved every minute of her visit. Every time I say goodbye to her I worry it will be the last time I see her in this life. She’s on my list of top 5 people who have influenced me the most in life. Working… on all things pumpkin. I’m planning a pumpkin week sometime soon and my kitchen smells that part. Proud…of my family, Thomas especially. He’s been working without pay for almost 2 years to design, plan, engineer, build, stock and OPEN a hardware store with his dad and brother-in-law. It’s been a labor of love with many many many long late nights, but I’m so beyond pleased to announce that they passed their inspection and got their occupancy permit this week. After a little more cleaning they will have a “soft opening” on Friday. Soft opening means that you can come in and buy things but there’s still things to do. We have to get a checkout lane up (the store is connected to the grocery store that they already own, so people can just check out and pat in the grocery store right now), the paint mixing machines all figured out, and other details like that figured out. But by most accounts it’s ready for business! We’ll do a formal grand opening in October, but a soft opening is a bigger deal to us. Wanting… to be magically transported back to the deli I worked at during high school in Columbus Indiana, just for lunch. I crave The Big Cheese Special always and it is sounding especially good lately. Wishing…I knew what to do with my hair. Why is hair always something that matters? Mine has lots of gray because I don’t dye it and is at the weird middle stay between long and short. I either need to commit to growing it out or chop it all off. I’ve even thought about perming it again. And because I can’t make a decision it just goes in a pony tail every day. Here it is in its curly days. Hello Throw Back Thursday! June of 2005 at my sister’s wedding reception. 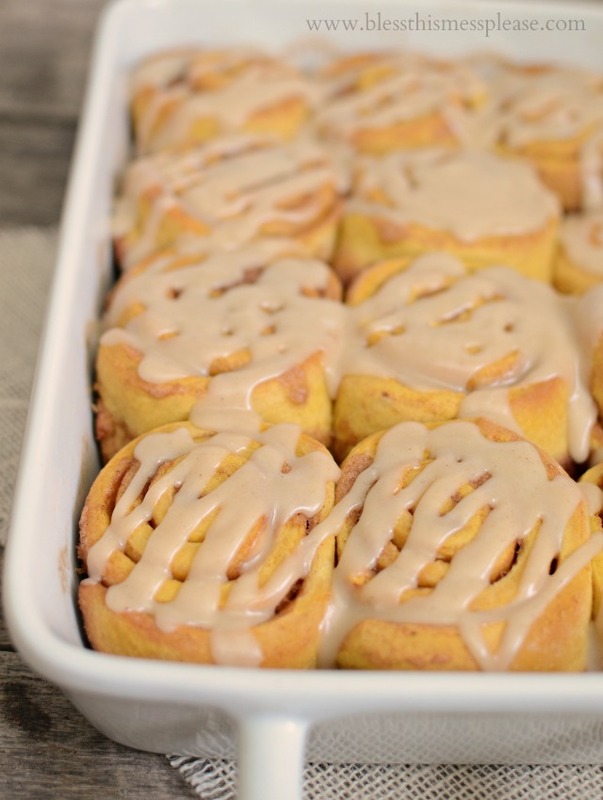 Eating… Pumpkin Spice Cinnamon Rolls. Oh yes friends, they are even better than they sound. It’s a small batch recipe (makes 12 perfect rolls) and they are done in 1 hour. Recipe coming soon. Be excited. Very excited. Drinking…water. I’m boring like that, but when you live in the mountains the water is really really good. Loving… how close I am to finishing my ebook. My friend Becca is designing it right now! I can’t wait to show it to you all, it’s going to be a gorgeous resource that I know you’ll love. I’m also loving my Etsy shop! It’s so full and pretty right now. Did you see the fabric chickens and homemade lip balm? And there you have it. A few TMI posts and exciting announcements today. Hope your day is great. Thank you so much for being here, reading, let me share parts of my life with you, and for being great. I like you. I strongly recommend the Mirena IUD for birth control! I know what you mean about The Big Cheese. We left Columbus 14 years ago and really miss it! Anyway, I see the above comment about NFP, Natural Family Planning. It is truly chemical-free and is as affective as the pill. Not only that, but it does wonders for marriages as well! Good luck with your new farm! What a wonderful dream come true! Love the gray story 🙂 My patch showed up at 17 too and I started dying it then also. I stopped 4 years ago at 25, but now I’m not even 30 and “the patch” has spread a lot. I’ve embraced it though… it’s just who I am! Your pixie sounds lovely. Is it much work to keep up? I love to read your stories. How proud your family must be of you! You set a wonderful example of how to live your life as a wife, mother, daughter and sister with such grace and love. May God continue to bless all of you. Congratulations to Hubby! All that hard work will pay off. My fourth weaned himself at 10 months, and he grew up very healthy. If you feel engorged, sudafed is a quick dry up. To space my babies, I was comfortable with products I could buy over the counter in the drugstore. They have better options now, but they are chemicals. I am a very fertile person, and they worked very well for me. I am eagerly awaiting your pumpkin roll recipe. IT is that time of year! Hair? Get a new cut, not short, but just to give it style at this length. You will love it then, and won’t have to cut it short or hate it till it grows out. My almost two granddaughter is here today. We have blown and popped bubbles. Swung on the swing in the apple tree. Picked and eaten the cherry tomatoes and an almost ripe apple from the tree. We have clipped and painted toenails – pink of course! Read lots of stories and took a stroller walk up and down the street. We let the dogs come with us, she likes to help hold the leashes. She played the piano for awhile. She insists on having a music book open and plays very gently. We watered the potted pine on the front porch. Then we picked up toys (yup, already dumped out). Amazing how many different things she finds to do in just a few minutes! We also snuck in breakfast, snack and an hour nap somewhere in there and it is only noon! You bought the farm! Awesome! Oh, that is so exciting. 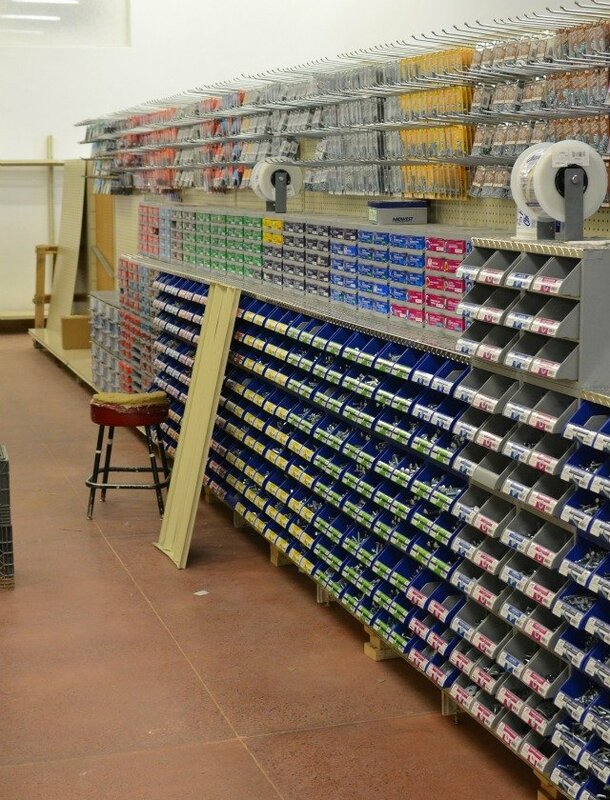 And the hardware store is opening! Hurray! I am so happy for you! Congrats on the farm! I can’t wait to see what you guys do with the land. 😀 My husband and I have been also using a NFP type plan and supplement with condoms during fertile days. It’s not as free-lovin’ as I imagine you could be on the pill, but I figure that it’s just for a season in my life and not forever. I also use an app called Woman Log to help me keep track of the different measurements. Wow! Love this post. Some over the top exciting things happening for you. I hear you on the no pill but what do I do question, and the cut my mid length hair or grow it out debate too! I’m so excited for future posts. I have a copper IUD. I can’t do the hormones in the pill or the Mirena IUD. And I just don’t trust NFP for us. But plenty of people use it with success. My mom and sister love the Diva cup. My mom had 6 kids and loves the Diva cup. And I am totally jealous of your farm! Yay farm! And I’m excited for your party barn!! I’m so excited for you and that farm!! It’s beautiful! A) going to have to try those cinnamon rolls! ….maybe with a pumpkin spice latte? B) LOVE the farm! That is my husband and I’s dream. We want to have at least 5 acres and have a vegetable farm, fruit trees, berry bushes, and maybe some chickens. We really want to have that when we start having kiddos so that they can grow up as little adventurers in the wide open space. Life is good! The picture of your grandma brought tears to my eyes. You have a lot to be thankful for! 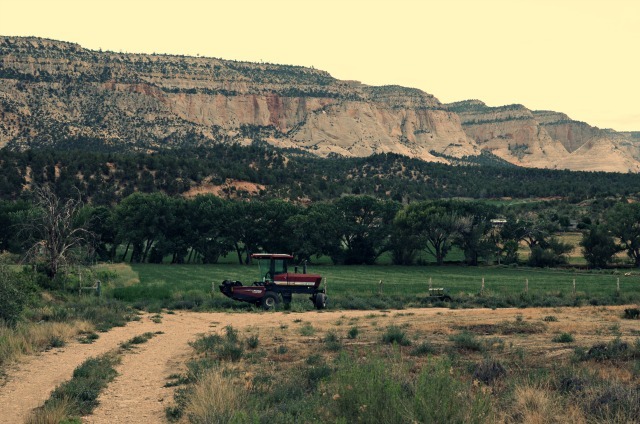 Yay for buying a farm… someday I will do the same! Check out NFP. If you’re diligent, it works. If your life wouldn’t be ruined by pregnancy but it’s more of an “eh, I’d rather not” then consider (oh do forgive me for writing this) pulling out. No charting required! For periods, try “mama cloth” (reusable pads) or diva cups. I saw a commenter recommend Mirena. It releases the same chemicals as birth control. Copper IUDs release no chemicals, are very effective, but may make periods stronger. Some are uncomfortable with the fact that they don’t prevent ovulation or sperm meeting egg, but merely prevents implantation. That’s a personal choice. I will never go back to the pill! Ugh, I can’t believe I put that in my body. But we’re at the beginning of our baby making years (just two in) so we don’t worry much about preventing. Nursing helps me with spacing. Yay for buying a farm!! Oh man THAT is living the dream! 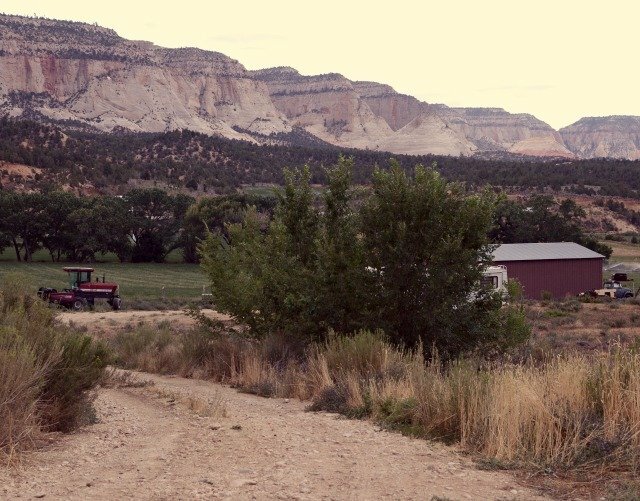 We would love to move our family to a farm but it’s very expensive in the area we live in (and where my husbands employment is). Have you read the book ‘Taking Charge of Your Fertility?’ I highly recommend it. I have Factor V Leiden which is a blood clotting disorder and I had a DVT just 2 weeks after getting married. Long story short I can’t use any hormonal birth control including mirena or mini pill etc. I tried the copper IUD but found the bleeding to be extreme and took it out 8 months later. There are natural family planning methods, condoms or permanent ‘fixes’ out there. As for your period I’ve heard good things about the Diva cup and similar products. There are also cloth menstrual pads you can use. It sounds gross but as a cloth diapering mom it’s really no different. I’ve had good success with Mirena IUD for the past 7 years. I realize that nothing is great for everyone, so this would be something to discuss with your spouse and doctor (also: don’t read message boards about them online, since the views can be extremely skewed and freak you out). We are done having children, so this was a good choice for us. One benefit of the IUD for many women is a much-decreased or non-existent period. It is so liberating to not have to worry about a period so much, and as you note, be dealing with so much toxic material. Loved this post! You are the best, and T-Money, too. Way to go on the store. It looks amazing! And the photos of the farm are to die for!!! I cannot wait to come stay in the party barn. My heart hurts a little too that you didn’t make it out here this fall, but there’s always spring? Next summer? We may possibly even be here through the fall until next Christmas. So don’t forget about it completely:) Oh, and I second the comments on NFP. Good luck! Call me soon! I found your blog tonight, thanks to Google and a question about chickens, and I am now hours past my bedtime because I’ve been reading through your posts with such enjoyment! 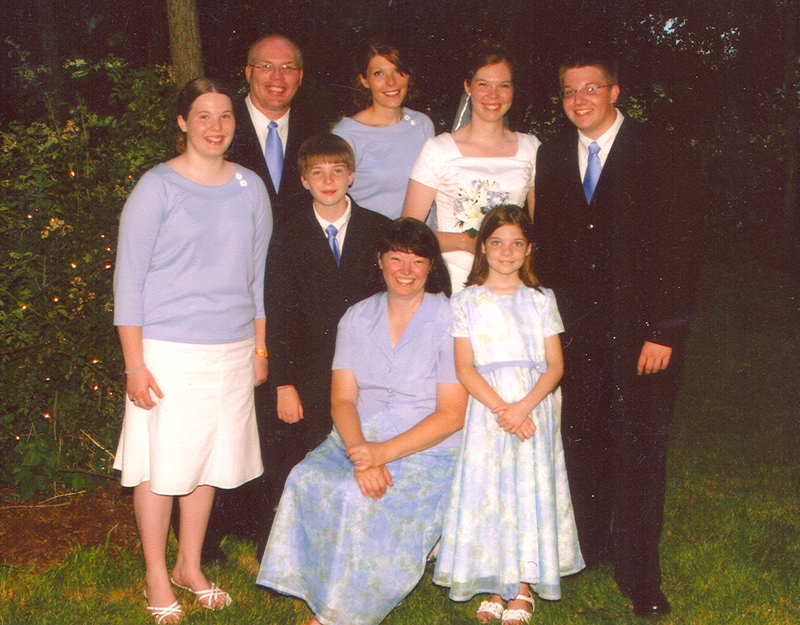 I also went to BYu, married an engineer from Utah, and now live in Indiana with our 5 kids (and our ten hens!). I’m feeling like you’re a kindred spirit even though I’ve never met you, probably because you’re also living my hobby farm dream!! Thanks for your blog, and good luck in your pregnancy. I was interested to read your midwife’s suggestions for combatting depression during pregnancy; I had absolutely awful PPD after my fifth and my midwife just wrote me a prescription and told me good luck. Nice, right? I can’t believe you are a Hoosier now!!! What part of IN are you in?! I lived in Hope, outside of Columbus (south central part) and just loved it. And please tell me that 5 kids isn’t going to kill me. It can’t be as bad as being pregnant with 4 right?! I’m SO glad that you commented!